Is homasote considered to be a wood product? Or newspaper? 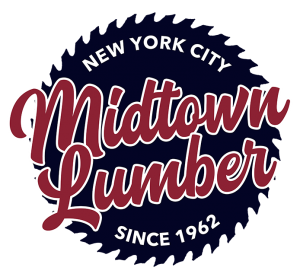 Homasote is a sheet we carry at Midtown Lumber that comes in 4’ x 8’ (48” x 96”) and ½” thick. It is unusual though because it is one of the few sheets we carry in the store that is not made from a wood product. The board is actually made from recycled newspaper. Homasote has many different applications. One common use for the material is noise reduction, as it works as a good barrier for sound in walls. Homasote is also a great material to use as a bulletin board. We actually use a piece of homasote as our bulletin board for the pickup & delivery schedule. Another popular DIY use for homasote is as a work surface. Many people use it when they need to staple material into place when working on creative projects. Homasote can be painted but it cannot be stained. When hanging up this material we recommend that you screw it securely in place, but it can also be nailed. Want more ideas on how to use Homasote? Ask us Today!